Bastille Day is much more than just an excuse to drink rosé all day. The French holiday is formally called “La Fête Nationale” and is celebrated each year on July 14. The holiday recognizes and celebrates the storming of the Bastille penitentiary, which ultimately helped usher the French Revolution. It also represents the tyranny of the French monarchy and King Louis XVI and Marie Antoinette. Stephen Starr’s Le Zoo at the Bal Harbour Shops will celebrate Bastille Day with an all-day special menu and activities to include live music, an ice-cream cart, raffles and more. The Bastille Day menu includes hand cut smoked salmon, sauteed frog legs, duck a l’orange, and a crepe suzette topped with Grand Marnier, caramel, and orange sauce. Most Francophiles would take a crepe over cake any day – especially on Bastille Day! Villa Azur will be heavily decorated and will feature French Cancan dancers, live entertainment, and their staff will be dressed to impress in festive costumes. Their traditional menu which features seafood & caviar, fish, meats, and lots of mouthwatering appetizers will be available, but they’ll also be bringing in special items straight from France for the occasion because how could one celebrate Bastille Day without fresh escargot, foie gras, and Camembert? Villa Azur will also host a dazzling Bastille Day show to finish off the celebration. This quintessential French restaurant located in the Grove will host quite the fête to celebrate Bastille Day complete with a complimentary mimosa or glass of champagne upon seating. The festivities will also include a band, dancers and other live entertainment along with a special Bastille Day dinner menu. 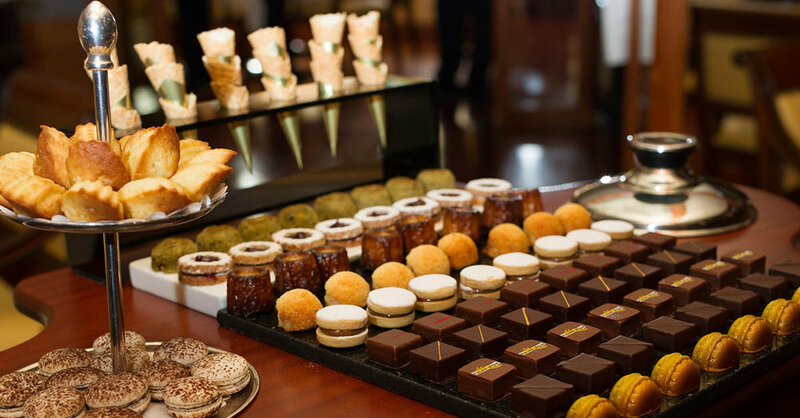 Le Bouchon du Grove aims to provide a delightful party atmosphere where everyone can celebrate regardless of their nationality, and you never know what surprises are in store for attendees. Take part in a truly authentic fine dining French culinary experience prepared by Michelin starred and James Beard “Rising Star” nominee Chef Gregory Pugin with their six course Bastille Day menu for just $95 per person. The “Le Tour de France des Saveurs de Mon Enfance” menu is a French journey around chef’s childhood flavors and features classic staples such as nicoise salad, black cod, milk fed lamb braised shoulder with cannelloni pasta, French cheese, St. Honoré cake and a selection of petit fours and chocolate. Talk about an incredible celebratory meal! Regardless of where you decide to celebrate Bastille Day, this year’s festivities should be extra spirited considering France will vie for the title of World Cup Champion the following day.